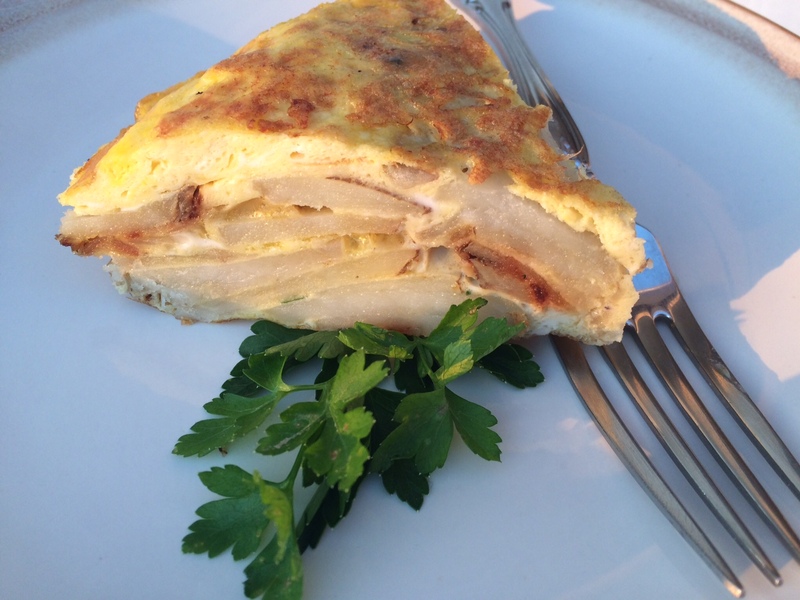 Spanish Tortilla | how 'bout some cake? Back in 2006 I spent a semester studying in Barcelona. I opted to live with a local family rather than in an apartment with other foreign students for a more immersive Spanish experience. I thought I’d be welcomed into someone’s home, treated like family and we’d all share paella dinners and laughs every Sunday afternoon. It didn’t really turn out as I expected. My “señora” was a starving artist type, Buddhist, young at heart, you get the idea. I didn’t see much of her but she always left my roommate and me something to eat. Unfortunately, it was always the same something: store-bought tortilla or freezer pizza (with a side of iceberg lettuce). 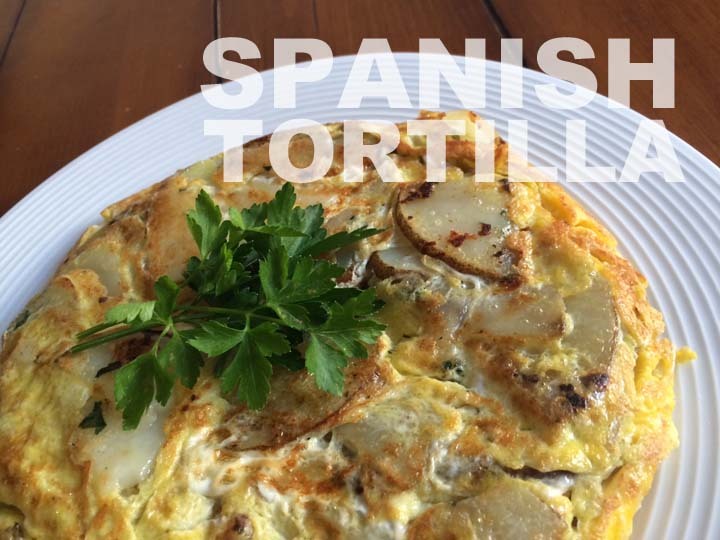 By the time I returned state-side in April, I cringed at the sight of tortilla. But now, almost a decade later, I see it in a more sentimental light. It takes me back to that exciting, carefree time of my life. And the homemade version is much more delicious than that store-bought crap I lived off. 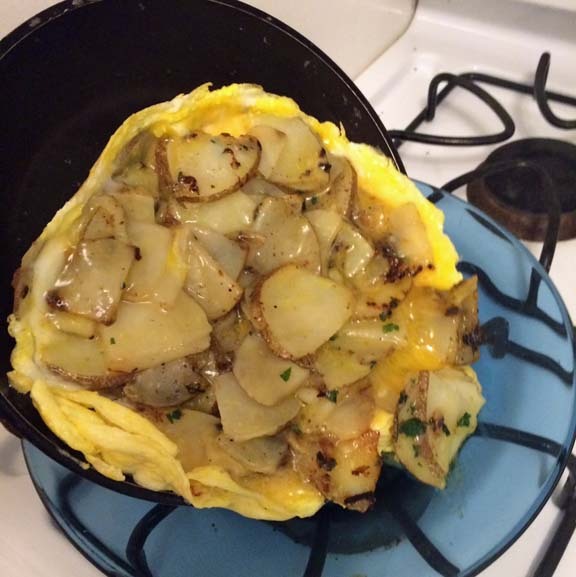 You’ll want a frying pan about 6-8″ in diameter. Cover the bottom of the pan with a layer of oil and add HALF of the potatoes, onions, and parsley. Saute until the potatoes are soft then remove them from the pan and repeat with the other half. Once they’ve all been sautéed, I recommend washing your pan. Mine had a lot of crispy bits that would have added a challenge in the next step. 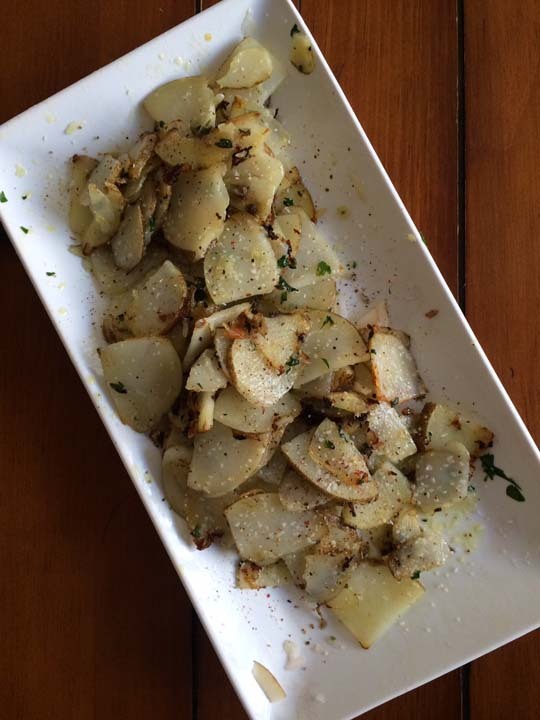 Add salt and pepper to the potatoes to taste. Now melt a pad of butter in the clean pan, making sure to coat the bottom and sides. Beat 5 eggs and pour a thin layer of egg into the pan. Add the potatoes mixture and distribute it evenly across the pan. Now add the rest of the egg and cover, cooking over low heat. Low heat and the cover are important because it will cook the egg thoroughly and evenly, rather than burning the bottom layer and leaving the middle runny. I also used my spatula to lift the edges a couple of times and let the raw egg run under. Once it’s fairly firm, it needs to be flipped. I did this by sliding it onto a plate, coating the frying pan with another layer of butter, then flipping it back over into the pan. It was a little messy, but I made do. Then I let it cook another 5-10 minutes until the egg was cooked through. Cut into wedges and serve. 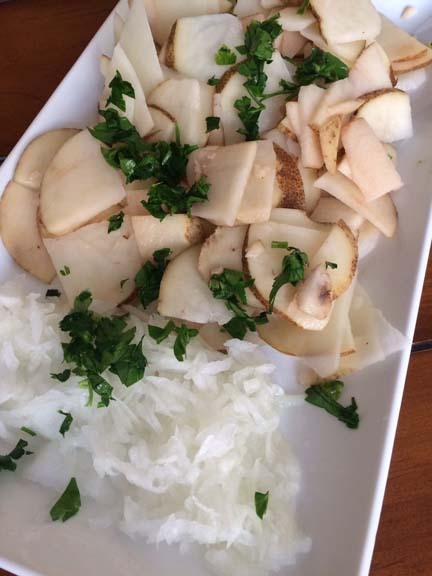 It’s an authentic Spanish tapa, found in restaurants across Barcelona that can be recreated in your own kitchen for about $5. This post is dedicated to my roommate Kelly, mi esposa de espana siempre en mi corazón. 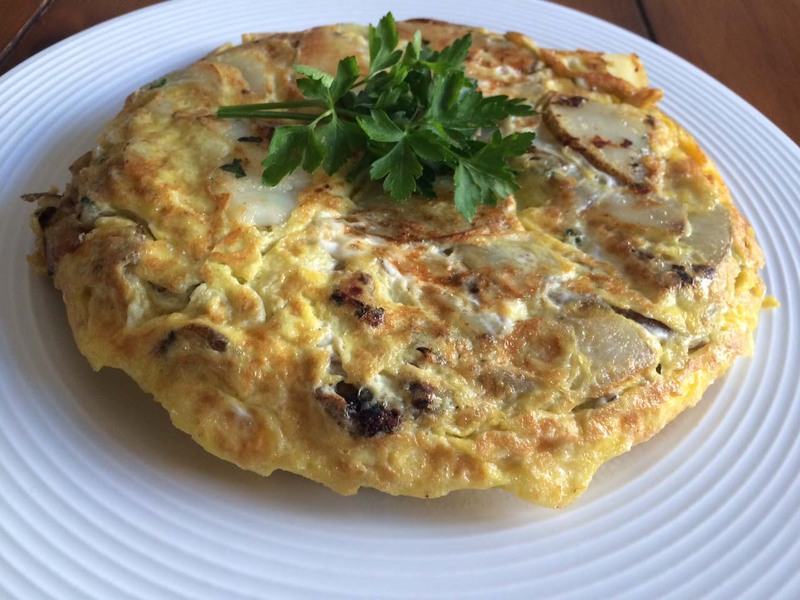 This entry was posted in Food & Recipes and tagged appetizer, cooking, dinner recipe, recipe, spanish food, tapa. Bookmark the permalink. Marida! This post brightened my day. Te echo de menos!